We understand how important it is for you to have fast and effective support and maintenance, so our support services have been carefully structured with your business in mind. maintenance contract for telephone system can be provided on a range of telephone systems including, Panasonic, Avaya , Nec ,Cisco ,Yeastar, Dlink & Zycoo. Our field based engineers cover DUBAI, ABU DHABI , SHARJAH, AJMAN, UMM AL QAIWAIN , RAS AL KHAIMAH and FUJAIRAH. What do we offer new customers? Carry out a detailed audit on your current communications. Find out more about your business and its challenges. Advise you on potential productivity enhancement or cost savings. Review your system programming and make necessary changes. Cleanse and back up your database to ensure efficient operation. Our Maintenance contact for telephone system is our guarantee towards customer. We will make sure your business communication will be up and running all the time . 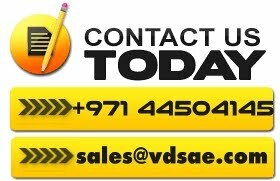 VDS believes that our greatest asset is our ability to provide the best possible service. Our certified and highly trained Telephone technicians enable us to diagnose and repair problems with the minimum amount of downtime. We hold adequate spare parts which allow us to respond to your service request within the contracted response times. We provide service 24 hours a day 365 days year. Why have maintenance on your Telephone / PABX system? Budget and Savings; Maintenance aligns a company’s budget with its telephone operating costs. If a major failure occurs, the yearly maintenance plan would cover such an occurrence instead of a costly unplanned system failure. Peace of Mind; Knowing that your system is covered can give assurance that if major outages happen to your system, it is covered and it will be back up and running without costly repairs. Priority Service; Preferred customer status gets you the fastest response time for service while putting your company at the front of the line. Free Phone Support; Need help with the operation of a phone handset? Maintenance customers receive free over the phone support included with the maintenance agreement. Monthly Technician Visit; VDS will provide an onsite technician visit to insure your system will stay running smooth. The onsite visit can point out potential problems and correct them before they occur saving you money.